Cloud Deployment Engineer, theatre geek, and aspiring helicopter pilot. 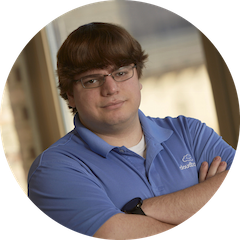 Mike has years of experience in customer support and technology troubleshooting, and is always up for a challenge. He knows Google's Enterprise tools inside and out, so much so, we call him the encyclopedia. Security remains a topic on the forefront of business minds. Here are 6 tips for maximizing your Google Apps security in 2016. Catching internet attackers early is essential to protect valuable data. Google has certain settings that improve one's ability to do so. An inbox should function like a well-oiled machine. Labels and Filters are great ways to optimize and organize your gmail inbox.